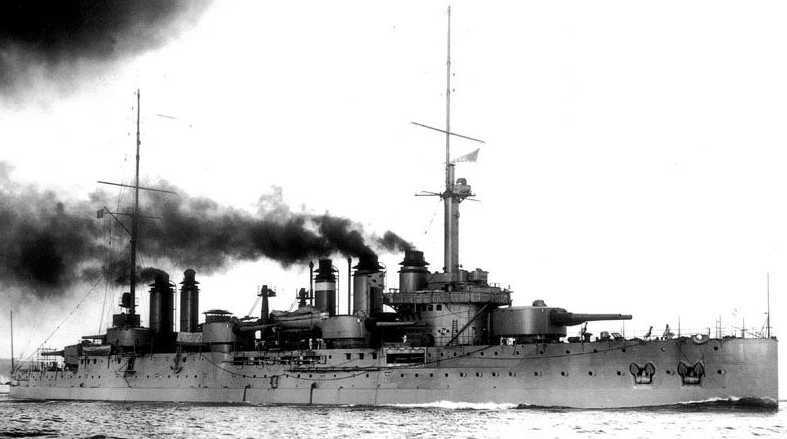 Battleship Danton. The 24 cm (9.45") guns are in the amidships mountings. A complicated built-up weapon with a good rate of fire designed specifically for the Danton class. After the ships were scrapped the guns were used as coastal artillery during World War II. French guns designed between about 1902 and 1922 were designated in centimeters. Actual bore length was 48.92 calibers. Some of the AP projectiles for these guns were later converted to aircraft AP bombs. ^AP was a dual-fuze, heavyweight design similar to that used for the 30 cm/45 AP projectiles. ^Propellant charges were in thirds. Aircraft AP bomb weighed 487.2 lbs. (221 kg). ^Manual elevation was possible with a single crewman able to elevate each gun at 1.0 degrees per second. ^Manual training was possible with three crewmen required with training speed reduced to 2.5 degrees per second. These turrets were similar in concept and design with those used on contemporary armored cruisers. There was a cylindrical working chamber suspended beneath the gunhouse and rotated with it. The hoists between the magazines and working chamber were fixed. The working chamber held the winches and motors for the upper hoists and the transfer equipment for moving the projectiles and rounds between lower and upper hoists. The magazines and shell rooms were on two levels. Each of the third charges was stowed in a case of soldered tin and the cases were stowed on shelving. Projectiles were stowed horizontally on wooden racks in the shell rooms. The Danton class had six ready projectiles for each gun and a total of thirty-six third charges were stored in each turret. The turret captain was equipped with a Barr & Stroud 1.37 m (54 inch) FQ2 rangefinder. 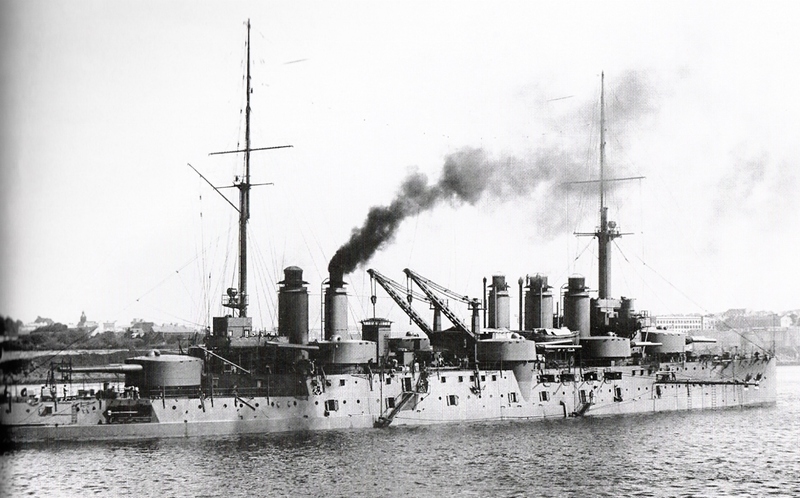 Battleship Danton in 1911. Note that the guns in the middle 24 cm (9.45") turret are at different elevations, indicating that the guns were individually sleeved. 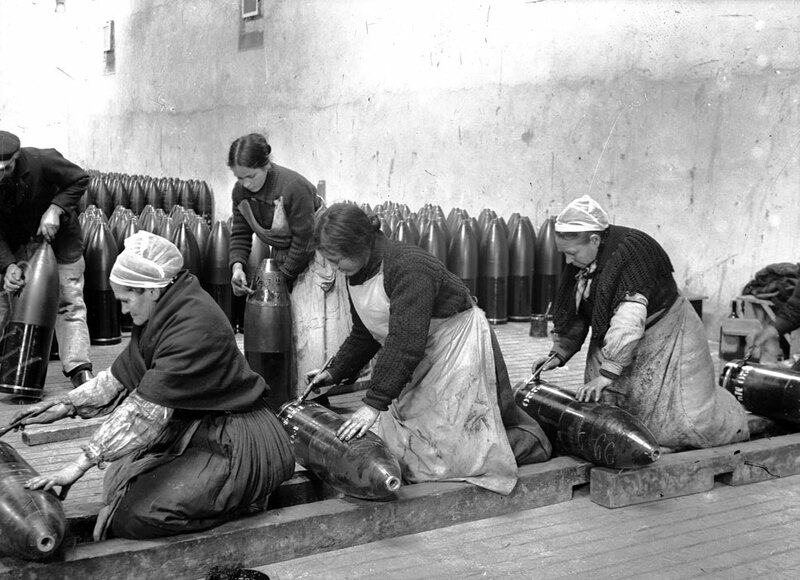 24 cm (9.45") HE shells being manufactured at Usine pyrotechnique Saint-Nicolas about 1916. Établissement de Communication et de Production Audiovisuelle de la Défense (ECPA D) Photograph SPA-5-J-409.